As you probably know, volatility has been notably absent from the U.S. stock market over the past 3-4 months. The S&P 500 has been rising in a slow and steady pace while VIX has been falling. 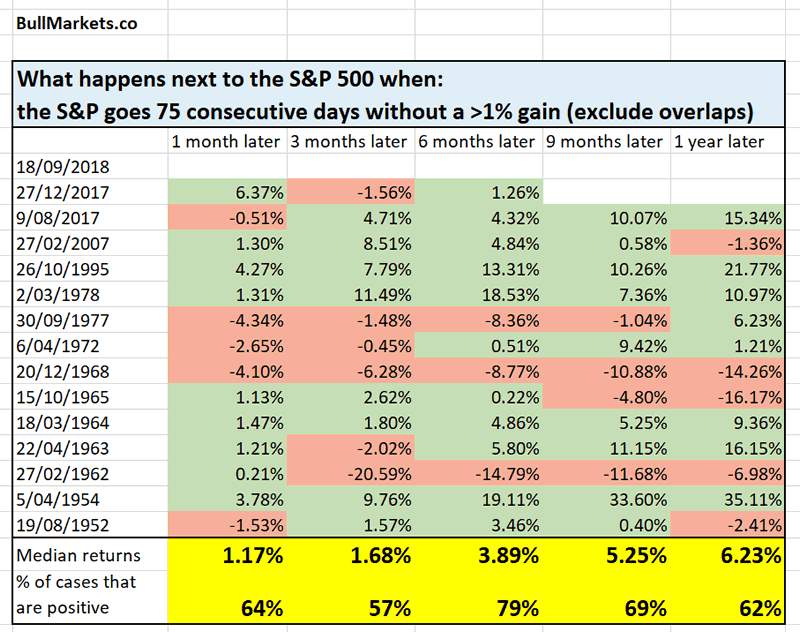 The S&P 500 has gone 75 consecutive days without a >1% daily gain. Here’s what happens next to the S&P (historically). As you can see, this isn’t necessarily bearish for the U.S. stock market, even though the # of positive cases do start to fall after 6 months. These marked important long term bottoms in VIX. 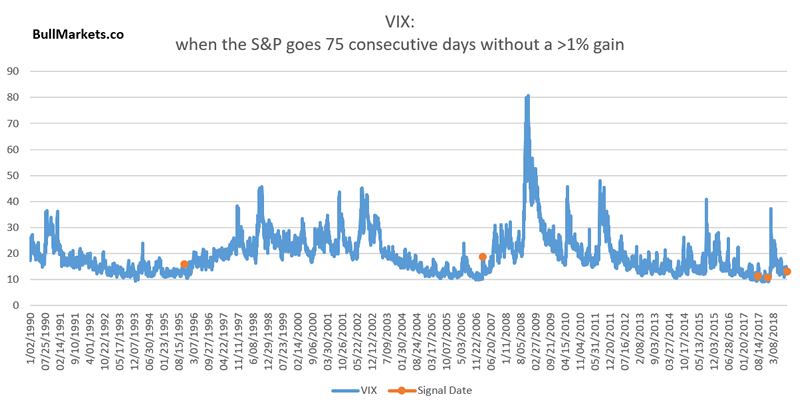 VIX tends to rise significantly over the next 6 months when the stock market’s volatility is very low (i.e. right now). This is a medium term bullish sign for VIX.